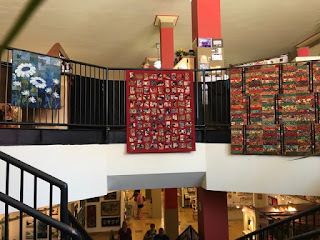 New artists to Woolworth Walk in downtown Asheville, NC are assigned space in the lower level. 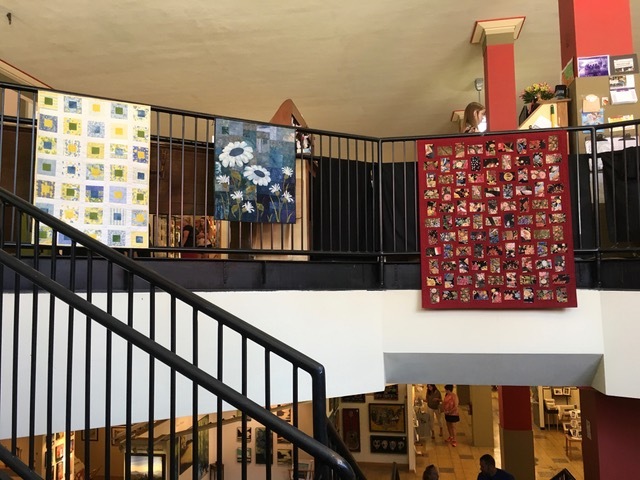 Often customers find so much to look at upstairs that they miss visiting half of the store! 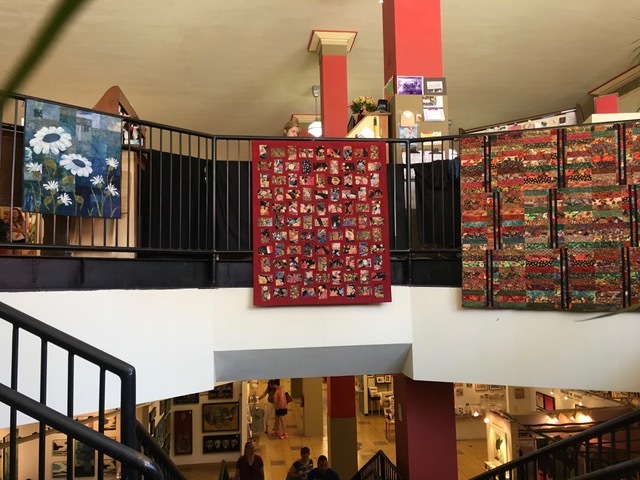 We all know fiber lovers will go out of their way to get their 'fix' of textile art....now the work of Judy Simmons (left) - Mary Stori (center) - Kate Weston (right) have the opportunity to greet customers as they enter the gallery space. 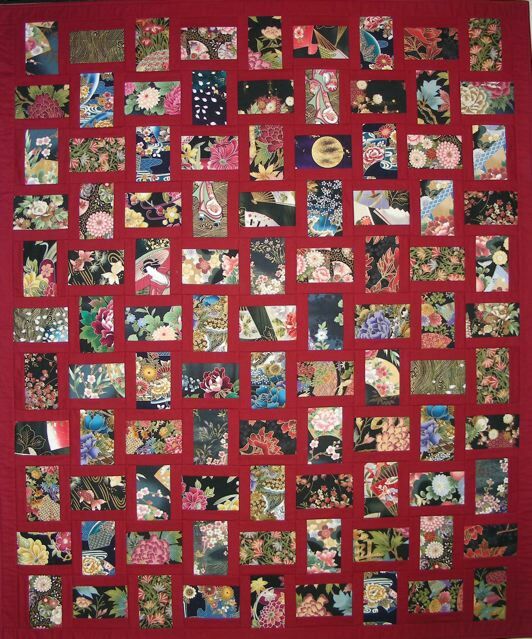 Judy works in a smaller format and her diversity is visible here with two of her wall quilts. I'll just have to look from my 'couch' when you post pics! Won't get you way..not sure if my step daughter would head that way when they go south but I will send her your post link! Quilts hanging off balcony railings are always an eye catcher. We've sometimes done the same at the bank where I often exhibit. Hope this helps draw those potential customers down to your booth.